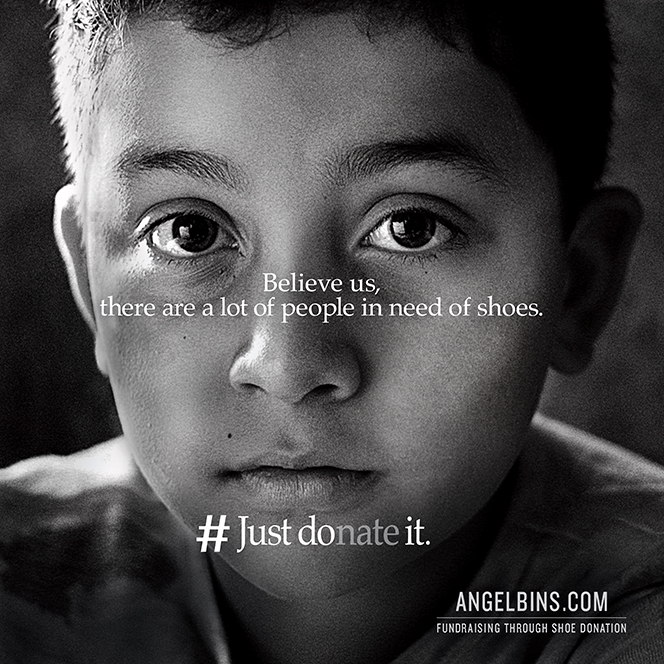 Alma's smart ad suggests shoe-burners should #JustDonate footwear to charity. There are better ways of getting rid of old shoes than setting fire to them, says Alma's poster ad for Angel Bins. 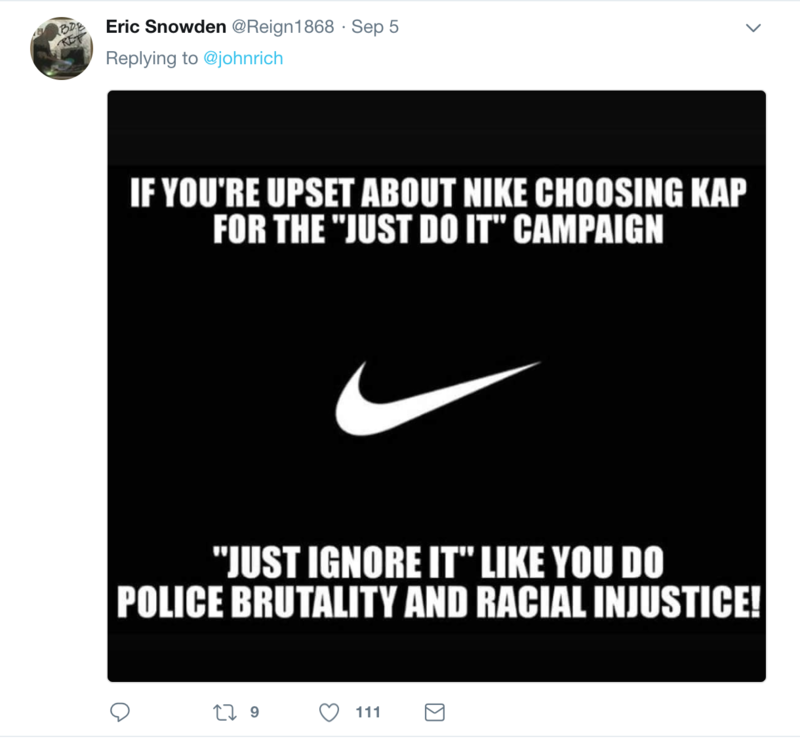 Last week Nike's latest Just Do It campaign kicked up a social media storm by featuring Colin Kaepernick, the kneeling NFL player who refused to stand for the US national anthem in protest against racial injustice. The ad renewed the controversy over athletes taking a political stance and led to blustering outraged types setting their Nikes on fire and making a mess of their socks by ripping the Nike swoosh out. Alma has mischievously leveraged the kerfuffle by riffing on Nike's campaign for the Angel Bins shoe recycling project #JustDonateIt. Paying homage to the monochrome Kaepernick image and inspirational motto about following your ideals, the press campaign promotes the work of the Angel Bins initiative which raises funds for schools and other charitable organisations via the recycling of shoes.